2018 East Texas Workforce Summit | LEDCO | Longview Texas Economic Development Corp. 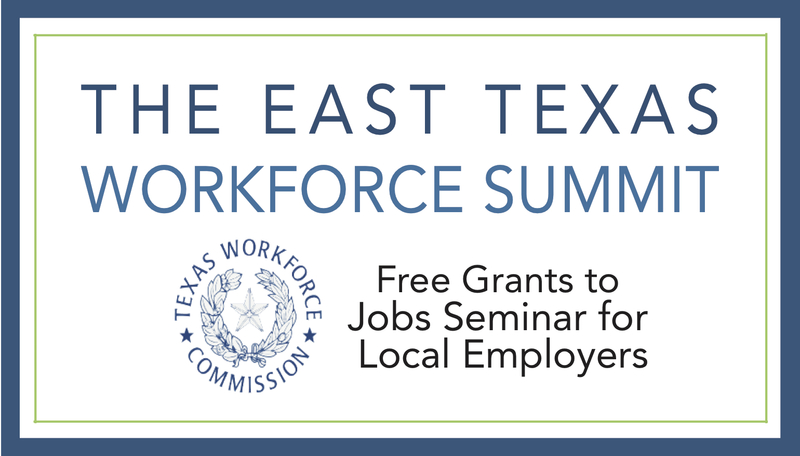 The Texas Workforce Commission (TWC) will be in Longview for the East Texas Workforce Summit: Free Grants to Jobs Seminar. This conference is a free event, targeted to local employers of East Texas. Three representatives with the state organization will be discussing three topics: Skills Development Fund, Skills for Small Business, and Skills for Veterans. Community partners for this event includes: the Longview Economic Development Corporation, Kilgore Economic Development Corporation, Marshall Economic Development Corporation, Gladewater Economic Development Corporation, White Oak Economic Development Corporation, Workforce Solutions East Texas, and local institutions of higher learning.